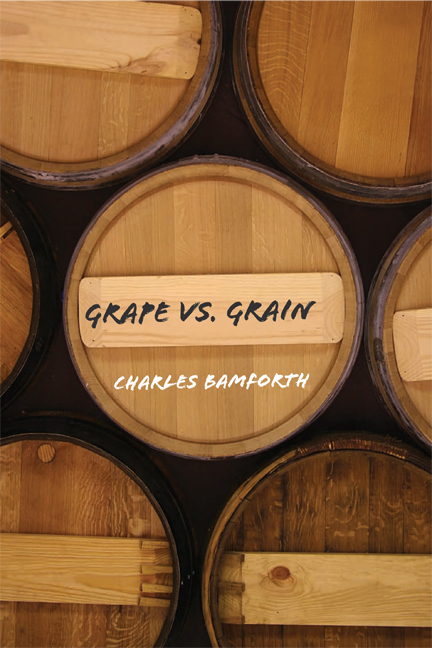 Charles Bamforth is back with more on beer and wine from his perspective as a brewing scientist in the middle of wine country. Check him out every Friday right here. Want to know more about Bamforth’s illustrious history with beer? Check out Scientific American’s Science Talk interview from May 2007. In case there is any doubt, I am a beer man. I have been in the business for thirty years and it has been good to me. Hey, I like wine. There may even be a bottle or two of it somewhere around the house. And the winemaker’s art is a proud one, with great charm and devotion, performed in some pretty amazing wineries of considerable aesthetic appeal. But I prefer beer, because it suits far more drinking occasions, it is more consistently excellent (read: few surprises, or shocks – what is this concept of vintage?) and, despite what you may be led to believe in the popular press, it is at least as good for you as is wine, probably better. Brewing is mankind’s oldest profession (well, perhaps the second oldest). It has been brewed for 8,000 years. In the last two hundred of those, tremendous strides have been made in understanding the science that underpins the production of beer, such that now brewers can overcome the seasonal vagaries of barley and hops to produce brands that are sublimely consistent, glass after glass. And many of them brew 24 hours a day, 365 days of the year. In the world of wine it is a whirl of frenzy for a very few weeks, at crush time, and then….well, wait. And drink beer. I am so weary of being told by winemakers: “it takes a lot of good beer to make good wine”. The reality is that brewing is much more complicated than is the making of wine. The latter has one raw material, the grape. Brewers need to worry about barley (which has to be converted first to malt in a two week process), hops and water. Wine contains about 1,000 different compounds, beer has twice as many. Winemaking is essentially a three step process: crush, ferment, refine. In brewing we have milling, mashing, boiling, clarification, fermentation, conditioning, stabilization, and filtration. 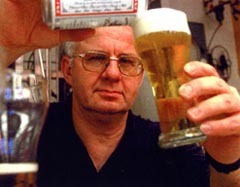 -There are 2,000 different types of molecules in beer, which is probably twice as many as in wine.